We are sorry to keep all of you Siro fans waiting! 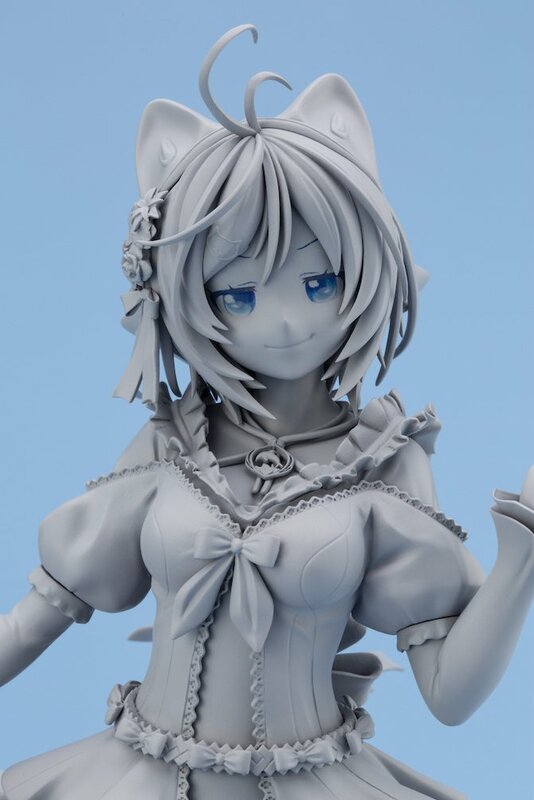 The Virtual Youtuber Siro 1/7 Scale Figure prototype has finally been completed! Multiple improvements have been made compared to the one revealed at Wonder Festival 2018 [Summer]. Please enjoy the photos. Here are a few from the front. She is holding her skirt, emitting a cute and graceful atmosphere. 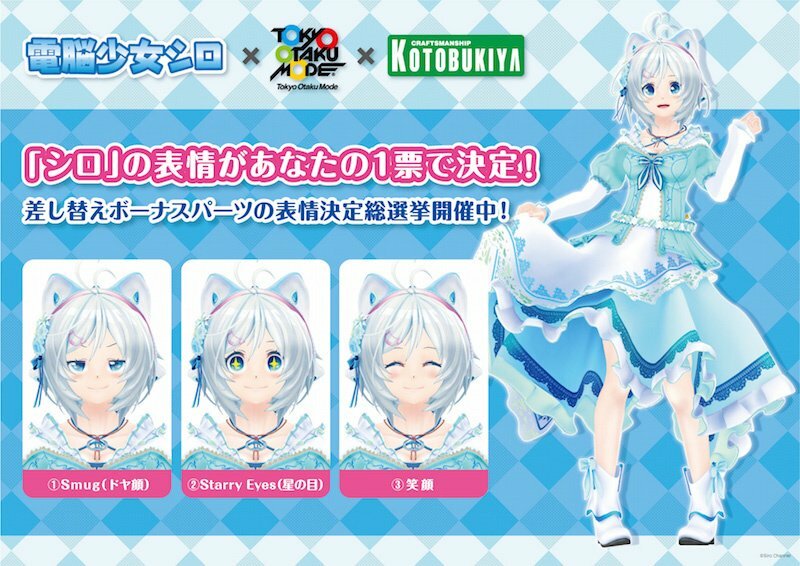 Siro is in a happy pose, as though she is singing to herself. The figure aims to capture her lively form. Her softly flowing skirt has also been recreated. The large skirt with many layers is truly spectacular. 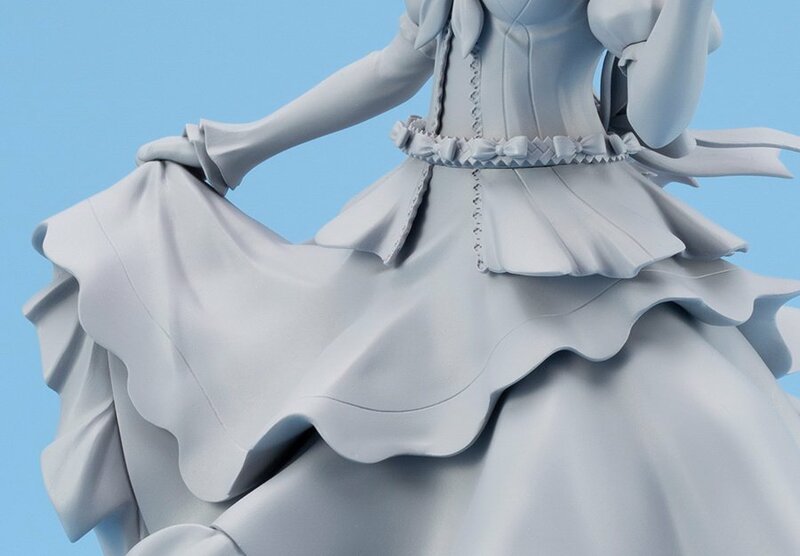 Even the small details, such as the frills and ribbons, have also been recreated with detail. The necklace on her chest has also been faithfully recreated. Please take a close look once you receive your figure. 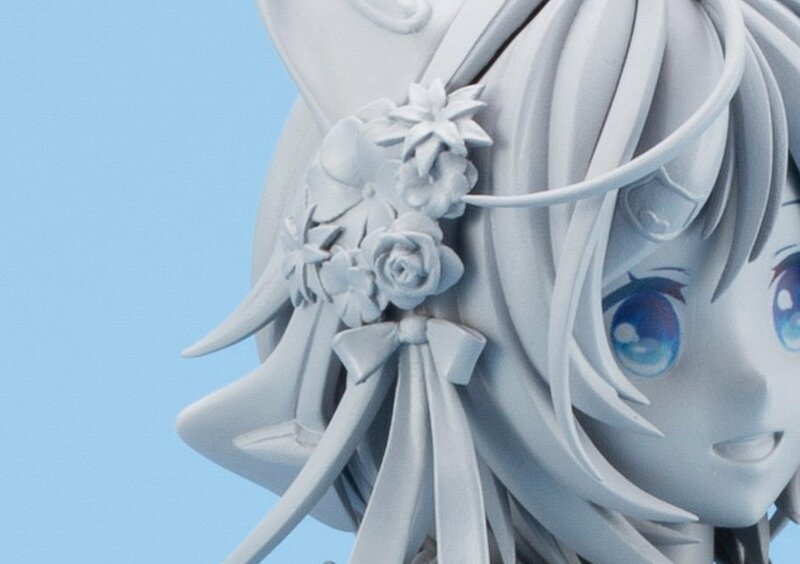 Her flower-shaped hair accessory is also full of details. 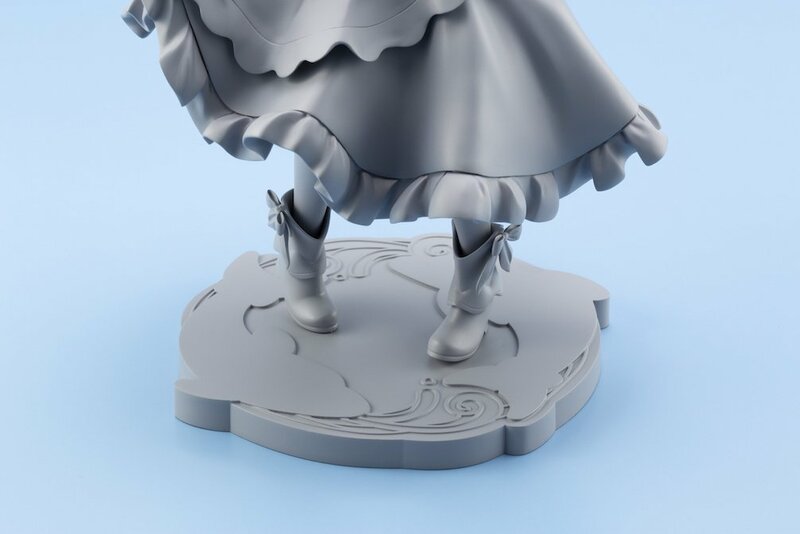 Her display stand, which was yet to be shown at the Wonder Festival, has also been revealed for the first time! Siro reminds people of dolphins! Therefore the display base has a design that resembles dolphins. The additional facial expressions exclusive to certain stores has also been completed. We would like to thank everyone who participated in the polls, which were held in July in both the U.S. and Japan, to decide the bonus facial expression part. ...The Smug face has become the bonus expression! Please take a moment to enjoy her brazen expression. 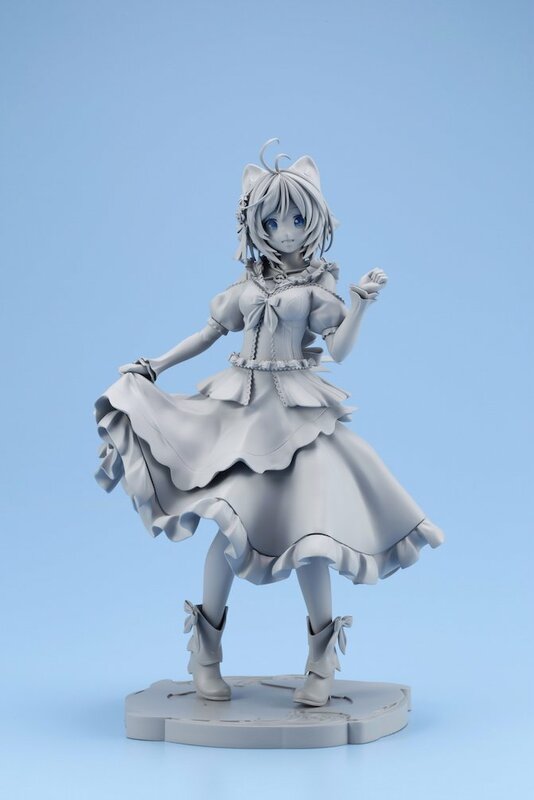 The unpainted prototype of the Siro figure has been on display at the Kotobukiya Akihabara store since October 30th18:00 (JST). 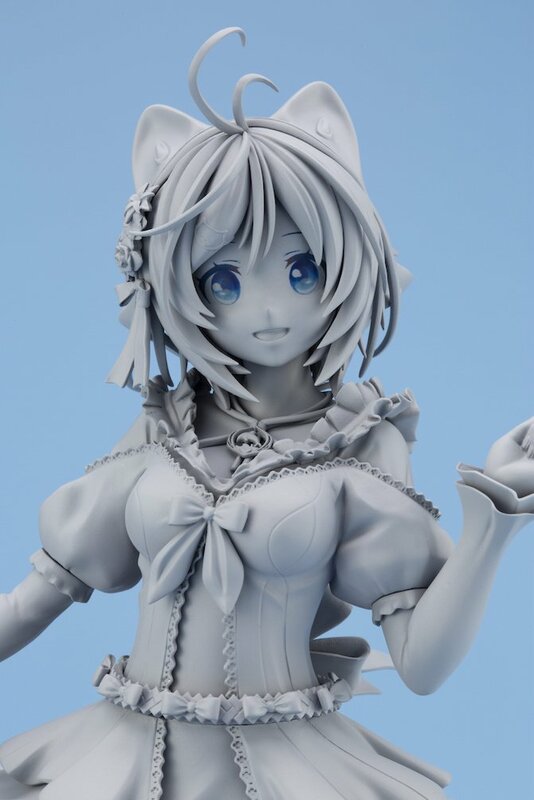 Please stop by to witness her cuteness, which has been enhanced since her display at Wonder Festival. We are currently working on the painting process. Please wait for updates about its completion and when orders will begin.